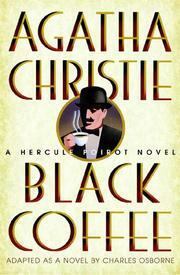 A brand-new Agatha Christie novel based on material nearly 70 years old. Christie’s biographer Osborne has adapted the legendary web-spinner’s first play (1929) to novel length, exhuming Hercule Poirot and Captain Arthur Hastings (who, operating here as Poirot’s sidekick but not his amanuensis, has precious little to do) and preserving the endearingly creaky conventions of Christie’s whodunit recipe. Noted atomic scientist Sir Claud Amory, on the eve of dispatching his formula for a powerful new explosive to the Ministry of Defense, realizes that someone in his family circle has filched the formula from his safe. Asking Poirot, whom he has already invited to visit him, to move up his arrival time, Sir Claud does the gentlemanly thing by assembling the suspects, telling them what he has discovered, turning out the lights, and inviting the thief to return the formula. Predictably, Poirot and Hastings arrive at the height of this failed experiment, just in time to realize that the thief has not only declined to return the formula but has fatally poisoned Sir Claud. Of the suspects—the scientist’s impecunious son and his Italian wife, Sir Claud’s dry-eyed niece and her spinster aunt, his private secretary, and an unexpected house guest—Osborne obviously believes the less said the better; and the plot, lacking the conceptual brilliance of The Murder of Roger Ackroyd and And Then There Were None, is no more than pleasantly serviceable. Still, the country-house atmosphere is suitably genteel, and the story holds its own with Christie’s undistinguished contemporaneous novels—The Mystery of the Blue Train, The Seven Dials Mystery, and The Murder at the Vicarage.